Do you believe in love at first bite? You better! 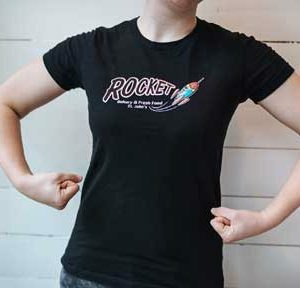 Rocket’s Superfood Energy Bites will have you head-over-heels in love. The healthy goodness of local wild Newfoundland Blueberries mixed with Chia is one of the main ingredients of our Rocket Bites. Filled with Omega 3, Antioxidants, Protein and Fibre, these little energy-packed bites are the perfect snack for all you health aficionadas out there! *Contains no preservatives, artificial flavours & artificial colouring. While quantities last. 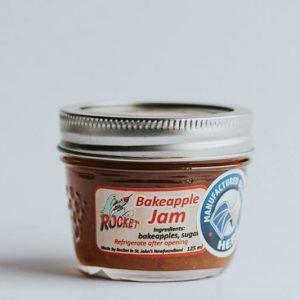 Ingredients: Peanut Butter, Organic Agave Syrup, Peanuts, Semi-Sweet Chocolate, Cocoa Butter, Soy Lecithin, Vanilla, Whole Oats, Chia / Blueberry Powder, Cocoa, Vanilla and Salt. Extremely rich in Vitamin C, bakeapples are known around the world as “cloudberries.” A lovely golden orange hue when they're ready to pick mid- to late-August, bakeapples have a distinctly tart flavour that we soften with a touch of sugar!